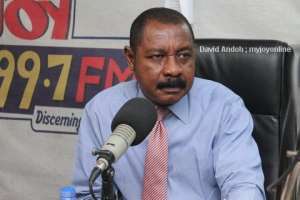 Private Enterprise Federation (PEF) is downplaying assertions that Ghana’s low performance in the latest corruption perception index, CPI, will affect potential businesses from investing in Ghana. This follows revelations that Ghana has dropped 11 places in the Corruption Perception Index ranking making it the lowest score since 2012. Ghana is ranked 81st out of 180 countries, which has led to speculation over how this decline will affect Ghanaians. Chief Executive Officer of the Private Enterprise Federation (PEF) Nana Osei Bonsu said this development will not affect investment by international businesses into Ghana. “There are many business opportunities in Ghana with relatively high investment return rates. If the practicality on the grounds attracts businesses, then rankings from the CPI, will have little impact or no impact on businesses here (Ghana),’’ he said. He, however, raised concerns about the effect of corruption on the Ghanaian society. His argument, however, contradicts other views on this development. British High Commissioner to Ghana, Ian Walker, has warned that Ghana’s drop in the Corruption Perception Index could affect investor confidence in the country. Speaking to JoyBusiness, the Commissioner suggested that stricter interventions would have to be employed to deal with corruption once and for all. “Any perception of corruption is a disincentive for responsible investors and Ghana has a huge opportunity and it does need investors,” he said.